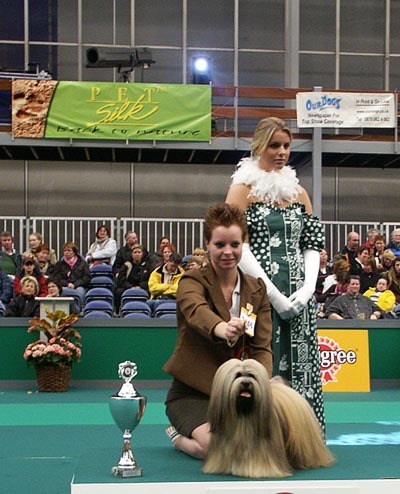 organised by the Royal Dutch kennelclub "Cynophilia"
The great Amsterdam Winner dogshow judged by the international famous Mrs Monique Van Brempt from Belgium kept at the RAI expo halls. 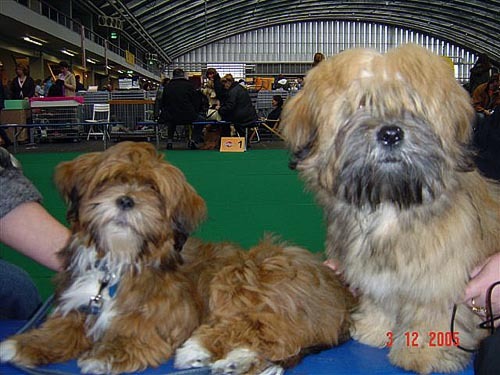 The Lhasa Apso entry was international and it was very nice to meet friends from abroad and of course from Holland. 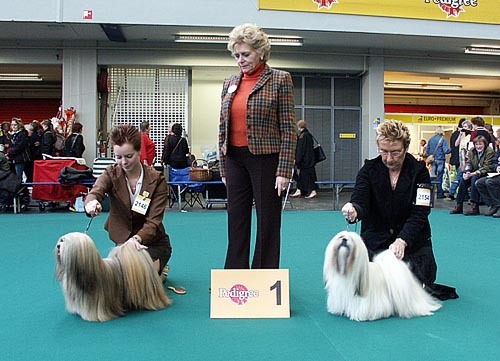 The Double Kalif Winner and Thamina Winster 2005 ! My EL Minja's Thamina as well wins her Winster 2005 title!! 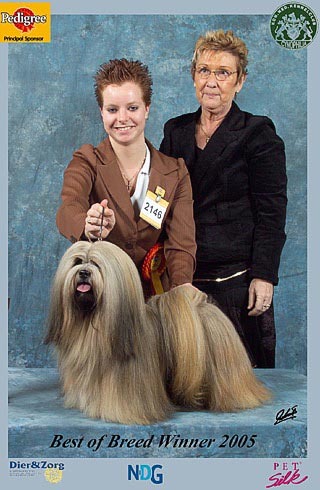 We are very happy and proud to win this double Championship at this prestiges dogshow. And on top in the honory ring our Kalif with Marianne wins res. Best in Group! Our Greatfully thanks to the judge Mrs Monique Van Brempt and Marianne and Lia for there support .